Welcome to the new design of Elite Health Coaching’s Blog! Every day we will post a tip and today’s tip falls on a Tuesday, so it’s RECIPE TUESDAY!!! Preheat oven to 350. In a bowl, mix together all ingredients except for the beef. Once it has been mixed well, add in the meat. Mix with hands until all of it is well mixed. 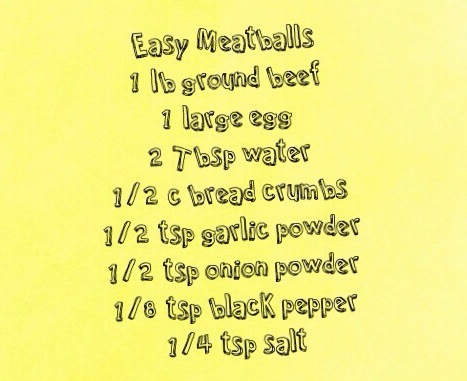 Using your hands, roll meat into 1 inch meatballs and place on a sided baking sheet. Cook at 350 for 25 minutes, or until they are no longer pink inside.